Marketing a product or service on the Internet is essential if you want to sell to the widest possible audience. 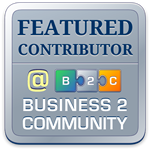 A business blog educates consumers about your offering and the industry in which you operate. Your blog also showcases your talent and authority, giving readers the confidence to buy what you’re selling. Google bestows a higher Page Rank and better search results on websites that constantly offer authoritative, unique content, and there is no better way to create content than through a daily blog. A good blog generates new readers, who then become leads and (hopefully) customers. While blogging can help any company, it is especially useful in certain industries such as hospitality. For example, you can use your blogs to establish communication with potential travelers who are looking for, say, a nice place to stay in your community. If you blog about the local sites and events, travelers will come to rely on your information and will be more likely book their rooms with you when staying in your city. By peppering your blog posts with the appropriate keywords, you help improve your results when people search using those keywords. Sometimes, you blog not only to market an offering, but to express your opinions on social issues. Your blog and the responses it elicits can act as a forum for you and others to express their thoughts on the interesting and important issues of our times. By combining your blogging with social media such as Facebook and Twitter, you have a great opportunity to reach many people who share (or disagree with) your point of view. Like most worthwhile things, blogging requires you to commit resources such as time and money. Adding blogs to a website is easy and costs little, but creating good blogs is a talent that needs financial support. For example, you are diverting resources if your employees take time out of their busy days to wrote posts. The other route is to hire a professional freelance writer to create your blog posts. While not overly expensive, you should seek out the best writers with the finest reputations. Clearly, the benefits of blogging greatly overwhelm its drawbacks, especially if you have the resources to write good, effective blogs. Whether timely or evergreen, good blogs deliver benefits that far outweigh their costs. Are you ready to budget for a blog? Start with the Business Budget Smart Sheet. This resource can help you make sense of tracking and spending, to help you forecast for the future. Many online customers appreciate the convenience of getting immediate help from a live person. Chats are often more convenient than phone conversations, because of shorter wait times, no exasperating phone menus, and the fact that important data, such as URLs, are written out for customers – no scrambling to find a pen and paper. A benchmark survey found that customer satisfaction reached 73 percent through live chat, compared to 44 percent for phone support and 61 percent for email support. A live chat agent can push documents and links out to consumers to help resolve problems faster. Many chat facilities allow consumers to receive a transcript via email at the end of the conversation, providing documentation of what was discussed. Chat optimizes interactions, cutting costs relative to phone contact centers. Furthermore, a chat representative can often handle several tasks at once, thereby reducing the need for additional representatives. By spending less time on the phone, chats increase efficiency and save money. The efficiency of chatting produces high customer satisfaction, an important factor in motivating sales. One study shows that live chat boosts sales by 20 percent and provide a typical ROI of 300 percent. For better or worse, Americans demand instant satisfaction, and having to wait for an email reply or a long phone queue is enough to send a consumer to a competitor’s website. A chat representative can walk a prospect through a sale by answering questions and clearing up confusion that could jeopardize a sale. Chatting also provides businesses with an upselling opportunity that can increase sales margins. The cost efficiency of a chat feature makes it an easy way to grab an edge over the competition. Put another way, lack of a chat facility gives your competitors a leg up. When you offer chat, you appeal to many Millennials who prefer typing to talking. Instant messaging has supplanted phone conversations among a great swath of the population. Omitting chat is like fighting the tide – not a good idea. Phone conversations are hard to share, but you can mine chats for important information that help you recognize unmet needs or sources of frustration. This can lead to the introduction of new product/service features that respond to customer complaints. A savvy marketing person can sort through chat transcripts and recommend important improvements in what you offer and how you offer it. Better live chat systems don’t wait for consumers to request a conversation. Rather, they invite visitors to ask questions or discuss issues. This proactive outreach can help shy consumers overcome their reluctance to chat, and offers more information that can help convert prospects. Clearly, many small-business websites would benefit from incorporating a live chat feature. There are many chat packages available for to evaluate. Your webmaster can add a chat facility, or you can hire a third-party provider to do the work. However you get there, a chat facility is a great destination to strengthen your business. Running your business takes a lot of work. Recognize areas that you may have overlooked while managing your day-to-day operations with our 7 Secrets to Small Business Success! If you believe that you have something truly unique and beneficial to offer your clients, but you simply can’t seem to get anyone to walk through your store’s doors, you are not alone. Many small business owners complain that their brick-and-mortar location stands empty, and they simply don’t have the skills required to attract customers. The problem is that competition from other retail locations and online e-commerce sites is high, and it’s often hard, although not impossible, to set your store apart from the competition. Read below to learn new ways of getting your store noticed and increasing sales! The target audience for a retail store is typically the local neighborhood, so getting to know your community is the best way to increase brand recognition. Strategies to make this happen include sponsoring little league games, school fundraisers or local charities. If you are able to create a poster or put your name on sports jerseys, you will create great marketing materials for your store. Another way to get to know your community is to encourage your staff to volunteer for local causes. Consider setting up a beautification event for a community park or garden or a clean up event at a nearby beach. You can advertise in the local paper, hand out flyers or geo-target your neighbors through online advertising. When you help your community, the residents don’t just learn about your business, but they want to thank you for your contributions by shopping at your store. Once a customer has visited your store once, do you have a strategy in place to keep them coming back? One way to encourage customer loyalty is with a customized reward program. This can include punch cards or a points system where you offer your customers discounts, extras or freebies for making purchases within your store. Finally, if you want to set your store apart from the masses, you need to know what they are offering. Make it your mission to visit your competitors within a certain distance, such as 10 miles, observe their offerings and customer service and write down thoughts about your experience. This will provide you with an opportunity to see what things other business owners are doing right, and what you can incorporate into your own operations, and also to see what can be improved, and offer that to your customers! You may require financial help should you choose to sponsor a local event, cause or charity or offer new services or products to your clients to help you stand apart from the competition. IOU Financial is prepared to finance your goals with a small business loan up to $300,000 in under 48 hours. Call us today! MONTREAL, June 20, 2017 /CNW Telbec/ – IOU Financial Inc. (TSXV: IOU) (“IOU Financial” or the “Company”) today reported the results of its Annual General and Special Meeting of Shareholders held on this date (the “Meeting”). At the Meeting, shareholders approved the appointment of all directors proposed for election, which comprised the existing slate of directors other than Jason Cawley, who chose not to stand for re-election for personal reasons and who was replaced by Wayne Pommen. Shareholders also approved the reappointment of PricewaterhouseCoopers LLP as the Company’s auditors as well as the Company’s rolling Stock Option Plan. Wayne Pommen is President and CEO of Health Smart Financial Services. Mr. Pommen is currently a director and the Chairman of the Audit Committee of Hudson’s Bay Company. Previously, Mr. Pommen was a Principal at TorQuest Partners, one of Canada’s leading private equity firms, and a management consultant with Bain & Company in the United Kingdom, the United States, and Canada. Mr. Pommen also served as a strategy director at BPP Holdings plc, a publicly listed provider of professional education in the United Kingdom and Europe. Mr. Pommen holds a Ph.D. from the University of Cambridge and an A.B. from Harvard University. Mr. Pommen has also completed the Directors Education Program of the Institute of Corporate Directors and has received his ICD.D designation. On this date, the Company granted options entitling directors, officers, employees and consultants to acquire up to an aggregate of 2,058,000 Common Shares of the Corporation (“Common Shares”); these options have an exercise price of $0.27 and a term of five years from the date of grant with one-third (1/3) vesting immediately and one-third (1/3) vesting on each of the first and second anniversaries of the date of grant. The Company also granted options to Paradox Public Relations Inc. (“Paradox”), its strategic investor relations consultants, entitling Paradox to acquire 150,000 Common Shares at an exercise price of $0.27; these options have a term of two years and shall vest over a period of 12 months, at a rate of 25% at the end of each three-month period. At the request of the TSX Venture Exchange, IOU Financial wishes to confirm that, in connection with its recently closed private placement of 17,372,400 Common Shares, Fintech Ventures Fund LLLP (“Fintech”), an entity controlled by Mr. Serguei Kouzmine, a director of the Company, subscribed for 7,500,000 Common Shares for gross proceeds of approximately $1.5 million on a non-brokered basis. Other insiders of IOU Financial, namely Mr. Evan Price, director, Mr. Robert Gloer and Ms. Madeline A. Wade, officers of IOU Central Inc., a wholly-owned subsidiary of the Corporation, and Palos Merchant Fund LP (“Palos”), a fund managed by its General Partner, Palos Management, which in turn is owned by Palos Capital Corporation, which is under the influence of The Marleau Capital Corporation, a corporation of which Mr. Philippe Marleau, the President and Chief Executive Officer of IOU Financial, is a shareholder, also participated in the brokered portion of the private placement. Mr. Price subscribed for a total of 50,000 Common Shares for total gross proceeds of $10,000, Mr. Gloer subscribed for a total of 50,000 Common Shares for total gross proceeds of $10,000, Ms. Wade subscribed for a total of 34,000 Common Shares for total gross proceeds of $6,800, and Palos subscribed for a total of 250,000 Common Shares for total gross proceeds of $50,000. The private placement may be considered a related party transaction within the meaning of Multilateral Instrument 61-101 – Protection of Minority Security Holders in Special Transactions. However, the private placement is exempt from the valuation and minority approval requirements provided under such regulation, since the fair market value of the subscriptions by Fintech, Mr. Price, Ms. Wade, Mr. Gloer, and Palos (together, the “Insiders”) is less than 25% of the market capitalization of IOU Financial. The Board of Directors of IOU Financial has approved the terms of the private placement. The relevant Insiders declared their interest prior to the approval by the Board of Directors of IOU Financial and, where applicable, abstained from voting thereon. In addition, IOU Financial also confirms that it paid Haywood Securities Inc. $90,575 in cash and issued non-transferable compensation options to purchase 479,125 Common Shares at a price of $0.20 for a 24-month period after closing of the brokered portion of the private placement. In connection with subscriptions in the private placement made by certain arm’s length third party subscribers in the non-brokered portion thereof, it also paid to Leede Jones Gable Inc. a finder’s fee amounting to $46,500 in cash. IOU Financial provides small businesses throughout the U.S. and Canada access to the capital they need to seize growth opportunities quickly. Typical customers include medical and dental practices, grocery and retail stores, restaurant and hotel franchisees and e-commerce companies. In a unique approach to lending, IOU Financial’s advanced, automated application and approval system accurately assesses applicants’ financial realities, with an emphasis on day-to-day cash flow trends. It makes loans of up to US$150,000 to qualified U.S. applicants ($100,000 in Canada) within a few business days, with affordable charges favorable to cash-flow management. IOU Financial’s speed and transparency make it a trusted alternative to banks. To learn more visit: www.ioufinancial.com. Networking is important for all business owners, especially small business owners, because it provides opportunities to generate new business and leads, meet VIP clients, approach investors and get important advice and mentorship. Having access to the right people in your industry can open doors and help you grow your business faster and more efficiently than doing so on your own. However, some small business owners encounter roadblocks such as lack of time or money and being too shy or intimidated to approach people at events. The good news is that networking is always possible with these tips! Many people are naturally shy, which is why it may be very intimidating for them to approach a big name client, possible partner, or mentor at an event. The problem is that there is no point to attend these events unless you proactively choose to network. Even if you are not a social butterfly, you can effectively approach and start conversations with strangers by preparing icebreakers and elevator pitches. An icebreaker is an effective way to engage with another person without diving right into your pitch. You can follow up on a recent speech, inquire about the person’s reasons for attending the event, or make a comment about the weather or food. Once you have managed to start a conversation, you will need to get to the point quickly so you don’t lose the individual’s attention or have them turn to speak to someone else. This can be easily done with an elevator pitch, which is a minute-long description of who you are, what your business is and what you hope to achieve by talking to this person. Networking doesn’t only have to occur at official events; you never know when you can meet a potential client, investor or business partner! This is why it is imperative to make and always carry business cards to hand out to those you want to get in contact with in the future. Plus, a business card makes you look more professional and serious than simply writing your email or phone number on a piece of napkin. When deciding which business card to create, you can go the traditional route or attempt to make your card stand out from the rest. Consider your brand and the image you want it to portray to others when designing the cards, remembering that your brand image needs to be consistent across all of your marketing materials. If you own a tax accounting firm, you likely will need to create a more conservative card, while a young tech company or a baby clothing boutique can afford to be more risque with their design. However, they don’t need to be limited to that information — you can include photos of your products or services, a motto and even a short call to action (CTA)! You may not be aware, but you can connect with important players in your industry without ever leaving the confines of your business! The truth is that technological advances have made it easier than ever to join online groups, ask questions and communicate with others through a computer or handheld device. While LinkedIn is a platform typically associated with finding work, it is also the most popular professional networking resource, connecting over 433 million users in more than 200 countries worldwide. Once you create a profile on the site, you can connect with others by importing your email contacts, or manually entering a person’s name or email. Once you make connections with your contacts, you can view their connections, creating a networking circle with very little effort! Additionally, LinkedIn has many online groups dedicated to specific industries and careers. The members of the groups ask questions, provide advice, hold forums and even organize offline events! Other social media platforms, such as Facebook, can also serve as beneficial resources to connect with important business contacts online. There are great benefits to networking, especially the connections and knowledge you can gain from attending conferences, setting up exhibits at tradeshows and traveling to award ceremonies and other events. If you need financial help to afford these networking strategies, turn to IOU Financial! We specialize in helping small business owners grow their businesses with loans of up to $300,000! Plus, if you just found out about an important conference, you don’t need to wait weeks for approval, as we can provide a loan in under 48 hours! Click here to find out more! Gaining exposure, clients, long-term customers, and new business is always on a small business owner’s mind. In fact, those key issues are elements that can make or break some small businesses financially. Another financial consideration for many small business owners lies in the space of paid ads. Paid ads are becoming more and more evolved with new social media platforms, increasing search engine platforms, all with various budgets and customer reach promises. Many business owners find themselves asking if paid ads will even work for them, should they consider the investment. In this post we will review the top 5 questions each small business owner should consider asking when deciding to implement a paid adverting marketing campaign. Lets get started! When first considering the idea of rolling out paid ads for your small business, you need to ask yourself “what are we selling?” Seems strange to ask yourself this question, but knowing what the product you are selling will help you identify if paying for ad space is worth it. For small businesses that sell products that rely on long term subscribers (i.e. educational programs or subscription based services) paid ads may be the way to go. For companies that sell large ticket items (like vehicles or high end electronics) or a specific niche product (products that are hard to find locally) are also great businesses to implement paid ads. If your business model is outside these areas, focusing on other forms of marketing may be best. Facebook: If your business can generate great call to action with informative elements go with this method. Twitter: If you want to explode your customer reach and brand awareness, choose to promote a tweet. LinkedIn: If your business wants to reach professionals, this is the one place for the bulk of your ads. YouTube: Powerful videos to share? Share away here. Pinterest: If you’re trying to target woman’s interests, search no more. Start pinning. As you can see, each platform has a small but very important difference. Knowing who you are trying to reach can help you determine if paid ads on these spaces are right for your business. Small businesses are no stranger to the word “budget.” Don’t run away just yet. “Budgets”, when it comes to paid advertising, can be your friend. Knowing not only what your company budget is, but also what budget paid advertising spaces operate within is just as valuable. When you choose a potential platform, look at what a budget “reach” gets you as a company. If you want to reach 10,000 new customers than setting a budget with that number in mind can help you determine if its worth the investment and on what platform you should pay for such exposure. If your budget is $5 and you are expecting to reach 1,000 people and retain them as customers, you may want to re-consider the approach. Let’s talk goals. Clearly outlining what your company’s goals are when deciding upon paid ad space is a smart way to outline and tailor your expectations, define budget, and choose a platform. What goals do you have in regards to marketing efforts? Is the goal to just gain SEO ranking? Is the goal to land 1-2 new big name clients/prospects? Is the goal to try and go viral and let the work of social media take over? Knowing the goal of any paid ad consideration will help identify if paid ads are the way to approach the goal or if looking for other advertising is a smarter investment. What are your current results? Sometimes paid ads are needed while other times they are not. If your company is gaining exposure by means of natural and organic methods (such as popular blog post content, word of mouth, or other methods without paid ad space), then you should consider staying with what works and saving a marketing or paid ad budget for other investments. If your business has poor results, traffic, or exposure than looking at paid ad space to improve results may be also worth the investment. Not all businesses need to implement paid ads at the current movement. By now you’ve decided to either pursue the use of paid ads or you have decided now is not the time. Either way, choosing the right time to go with paid ads is just as important as what platform to use, how much to spend, and what message you would want to convey to your audience. Choosing a paid ad marketing or selling campaign is no easy solution, so being informed and choosing the best match for your business is vital to its success. Try some methods out, see what doesn’t work, and stick with what does. Happy marketing! Need to get your budget in line before marketing? Check out our Business Budget Smart Sheet! Your small business is doing well very well… so well in fact that the idea of expanding to a second location has crossed your mind a time or two. Now that you are thinking about expanding, understanding how to choose a second location is key to continued business successes. But you are now asking yourself, “How do I pick my next location?” In the following post we will review the top 5 considerations every small business owner should think about when considering expanding to another business location. Let’s jump in! One of the biggest draws to choosing a next location is the idea of foot traffic. How many people stroll through, by, or near a business is one key to getting customers. Does your company rely on major foot traffic? If you run a company that does not rely heavily on foot traffic, than this may not be as big of a factor. However, if most of your current business profit comes from physical foot traffic, then choosing a location that has plenty of walking bodies is top priority. Tip: look into other businesses in a potential area and ask what type of foot traffic they get on a monthly average. Then compare to a few other locations your considering. Money is a big factor when choosing a location. Finding out how much a potential space will cost you is key when choosing your next location. It’s not just the cost of rent you should be asking about, it’s the cost of the utilities as well that need to be considered. Does your business model use a lot of electricity or is most of the cost related to water charges? Knowing what the rates are for utilities, the rent costs in that area, and comparing those factors to the profits you currently bring in is valuable to know in advance. Tip: Look up average utility costs in the area you are considering and compare to current rates for projections. This one may seem obvious but knowing how accessible the space is may make or break it for you. Not only should you consider how accessible the location is, you should also consider if people would prefer that location over your current location. Having too close of business locations may drive no new traffic to the expanded site. When looking at accessibility, look at how easy it is to get to, how easy it is to park near, and how many new possible customers you could get by popping up shop in their new neighborhood. Tip: Ask customers where they come in from when shopping and then map out where you are missing some possible traffic. Competition can be a good thing. It can also be a not so good thing when considering an expansion. If you’re into the business of selling coffee, it may not be wise to plant your new shop right next store to a major coffee chain. When you’re considering where to plant your next shop, consider looking for locations that don’t have your style of business, but could see a need for client base in the area. If the only dog groomer in town is a 40-minute drive, and you’re in the dog grooming industry, consider placing your shop in a needed location. Tip: Map out the other competition and see where there is an access point to tap into for your shop. Businesses need to look to the future while also focusing on the present. When looking for your next spot, consider looking where new building development may occur. Some of the most popular shops are ones that were built before massive home developments and other retailers were sprinkled around them. Look into where the region is expanding services and housing and find a place that has potential for good exposure as the town grows. Tip: Check your local area development bulletins and find out what projects are being built and city plans for expansion or restoration efforts. Running a successful business is no simple task and choosing where to expand that business can be even more overwhelming. By reviewing some key considerations for where to set up you next shop, business owners can be better prepared for the choice of where to start their expansion. Looking into and considering various factors when choosing a second business location can help reduce the risk and increase the reward to your next location. Happy business location shopping! Need funds to help you expand? Call an IOU Financial Loan Officer to get your per-approved loan offer today! The internet contains millions of websites – how can you lead potential customers to yours? When individuals need to find a product or service, they search for it on Google, the most popular search engine in the world. If your business is not included on the first page of Google search results, it’s likely no one will ever click on your link. In fact, the higher up the chain you are, the more traffic you will get. One statistic stated that website listed as one of the first results got 36.4% more traffic than those listed below. Utilizing inbound marketing, you can help online users find your site or social media page, and AdWords is the solution you need to help you boost online traffic and increase your sales! AdWords is Google’s own advertising service, which allows business owners to create ads that will be shown as “Sponsored Links” above and to the right of the organic (non-sponsored) Google search results. When a person searches for a specific keyword, your ad will show on their screen, encouraging them to visit your site. We’ve mentioned keywords a few times in this article, but what exactly are they? They are the words or phrases that online users utilize to search for something online. Keywords can be as simple as a business name or as complicated as “affordable Italian restaurant near me.” Each and every business likely has hundreds, if not thousands, of applicable keywords. AdWords allows business owners to pay for search engine optimization (SEO), which tells Google to list your site in its top results. AdWords has a pay-per-click (PPC) system that charges you every time an online user clicks on your link when it’s in the sponsored section. Keywords are not created equal, and some cost more than others. Many business owners don’t know which keywords can help them improve their online presence; however, Google has a free tool that allows them to conduct keyword research. Google’s Keyword Planner lets online users search for a keyword, get suggestions for other related terms and provides information about how competitive that keyword is, how many people search for it, and how much it would cost in a PPC campaign. What are the Biggest Advantages of Google AdWords? While it’s not necessary to pay for campaigns in order to utilize SEO as part of your inbound marketing, growing an online reputation organically can take a long time. Plus, small businesses have to compete with others who may have expert marketing professionals on their team, promoting their website through blogs, articles, social media outreach, etc. AdWords levels the playing field by allowing anyone to bid on a keyword to advertise their brand. If your business only caters to local customers, there’s no point for you to pay for clicks from people outside of your targeted area. AdWords solves this issue by allowing businesses to geo-target which locations their ads get seen in. You can specify which city you want your ad featured in, or even a specific proximity around your local business. Google AdWords has a feature that follows your online visitors and features ads for something they searched for on your site on other websites they visit, a strategy called retargeting. If you’ve ever searched for a pair of shoes, only to have them pop up for weeks after on various sites you visit, you’ve seen retargeting work its magic. Online marketing with Google AdWords can be planned according to your budget; however, if you want to make a real impact, you may need to invest in this endeavour. If you can benefit from financial help to start this process, IOU Financial is committed to fueling the growth of small businesses. Contact us today! Uncertainty is the name of the game for many small businesses. You might not know how your orders will flow next month, whether demand for your product or service will change, or whether you’ll be hit by some unanticipated expense. Your business might be highly seasonal or might depend on external factors beyond your control. These contingencies can make for volatile cash flows that demand attention lest they deplete your working capital and possibly drive you out of business. Budgeting for irregular cash flows is therefore a task at the heart of keeping your business alive and growing. Your suppliers will have only limited patience if you are forced to delay payments. The inability to purchase the planned amount of raw goods or inventory directly affects revenues, simply because you’ll have less product to sell. If you need to lay off workers and managers, you can expect a steep drop in morale and holes in your operations. You’ll want to budget for the most likely scenario, but also for better-than-expected and worst-case ones. Unless you have reason for optimism, pay the most attention to the worst-case scenario and make sure you budget anticipates a drastic cut in sales or rise in expenses. Should events prove more benevolent, you’ll be fine. If things turn considerably worse than you choose to imagine, you might be more willing to pull the plug and cut your losses. Establish business relationships with lenders. Don’t rely on banks, because they are famously fair-weather friends – when it rains, the bankers confiscate the umbrellas. Instead, work with a commercial lender that will stand by you through good times and bad. You will need a source of cash that can move quickly and provide friendly repayment terms. For instance, IOU Financial offers daily repayment instead of monthly, which means you don’t have to fear a mountainous outflow every 30 days. If you operate in a volatile environment, it probably makes sense to use contractors and consultants rather than employees. This gives you the ability to quickly change staffing levels without disrupting peoples’ lives. You also sidestep issues concerning unemployment insurance, tax withholding, employee health insurance, retirement plans, etc. Choose suppliers and vendors who are willing to commit up front to extended repayment terms. The best practice today is to share your production data with your suppliers, who can then react faster to your changing needs. To the extent that you can make your suppliers your partners, you have the best chance of weathering bad times without facing lawsuits for nonpayment. When facing a cash crunch, consider factoring your accounts receivables. This will provide a fast cash infusion, but will cut your net income. Factoring can be useful, but is often more expensive in the long run than is simply borrowing at a fixed interest rate. You can also raise money by wholesaling inventory and selling off equipment, as long as this doesn’t permanently damage your revenues. It’s not easy for small businesses to find outside investors, but if you can identify a willing angel investor or venture capitalist, you might be able to arrange a sale of equity. While this will bring in fresh money, it will also dilute your ownership. You might not be thrilled by having new partners in a business you created from scratch. These options are useful, but the fastest and most convenient method to ride out volatile cash flows is to arrange a business loan with a reasonable interest rate and convenient repayment terms. If you agree, contact IOU Financial today and have funds deposited into your bank account in as quickly as one day.